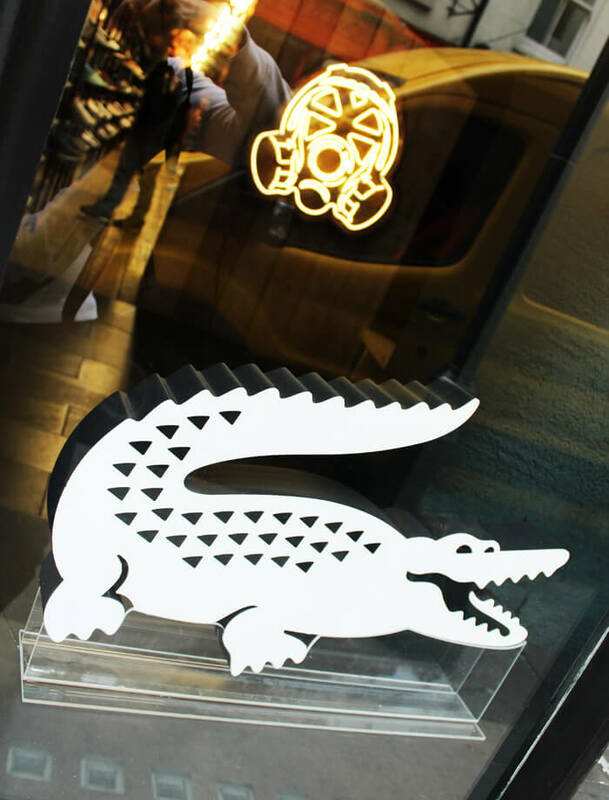 In store for a limited time, Lacoste L!VE collaborated with Footpatrol, Soho to produce a limited number of shoes and polos. 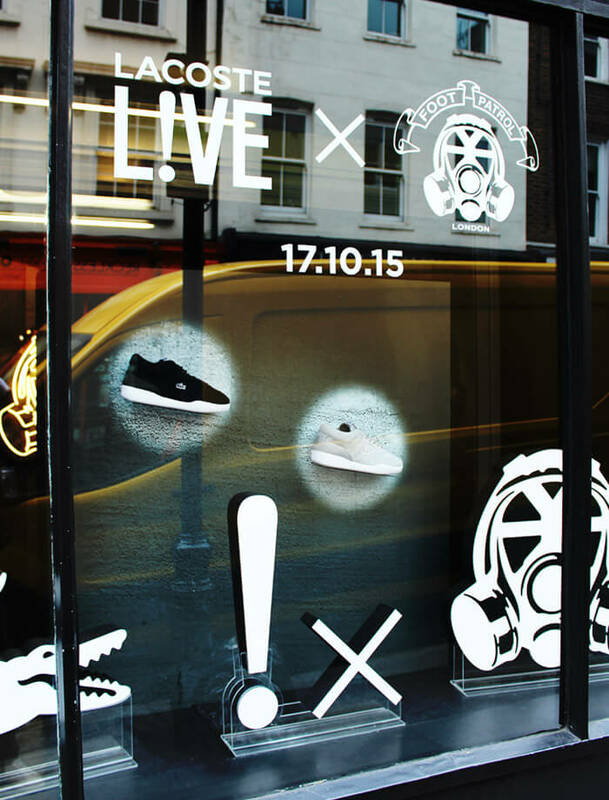 We produced a popup space in the window and entrance of the store to launch the range. 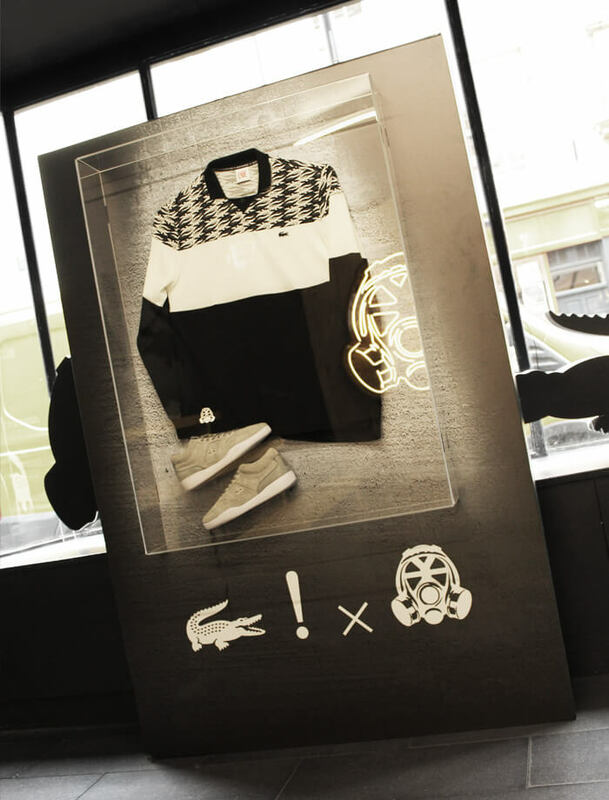 The shoes were presented on concrete effect podiums with the product story on the front, and the polo was presented within a perspex display case on the rear of the window display. 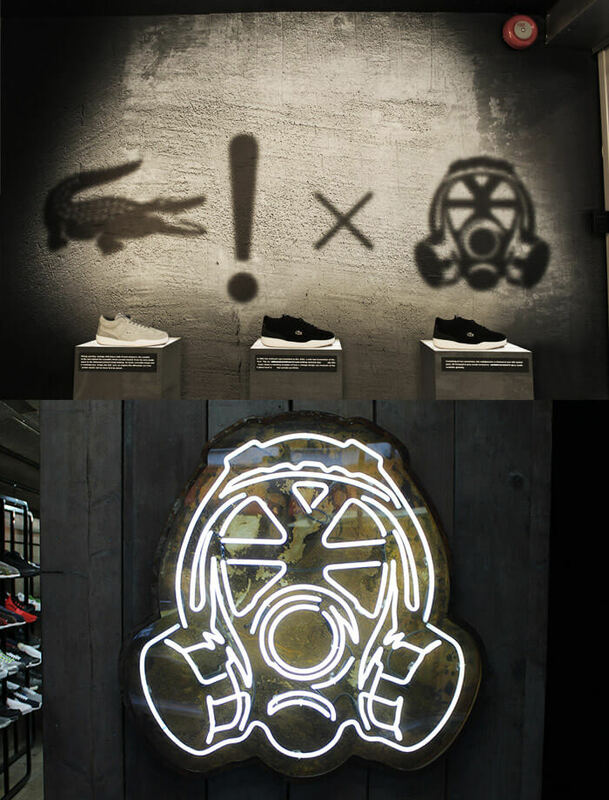 The graphics emulated light and shadow, a key theme in the design of the shoes.